Jordan Tucker launches a shot against Providence in the Big East Tournament. Butler faces Nebraska in the first round of the NIT on March 20. Jimmy Lafakis/Collegian file photo. After a first-round exit from the Big East Tournament and failing to make the NCAA Tournament, the Butler men’s basketball team takes on the Nebraska Cornhuskers in the first round of the National Invitational Tournament (NIT). Here’s what you need to know heading into the matchup. The Cornhuskers struggle behind the arc. At the end of the regular season, Nebraska was tied for 211th in the country in 3-point shooting percentage, as only one Cornhusker shoots better than 37 percent from beyond the arc. For the better part of Big Ten play, Nebraska struggled mightily on the offensive end. Since Jan. 10, Nebraska scored more than 70 points only four times due, in large part, to their struggles from beyond the arc. If the Bulldogs force the Cornhuskers to beat them over the top, odds are Nebraska will have a hard time scoring enough points to beat Butler. However, if Nebraska shoots well from beyond the arc, it could get ugly for Butler quickly, as the Cornhuskers have dangerous scorers from inside the 3-point line. 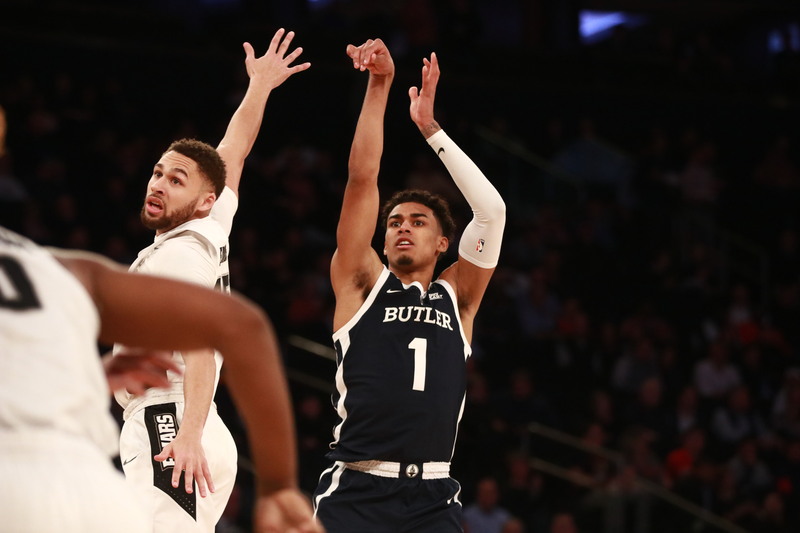 Butler did key things poorly in their loss against Providence. The Bulldogs got blown out by the Friars in the first round of the Big East tournament because they got destroyed on the 3-point line and free throw line. Providence knocked down 11 3-pointers to Butler’s seven and outscored the Bulldogs by seven on the charity stripe. When Butler doesn’t win the battle of the 3-point line and doesn’t get to the line, they only score 57 points and lose by 23. In addition, the Bulldogs only scored three fast-break points to Providence’s 12. Butler is a bad half-court offensive team and needs easy opportunities to score and get open looks from the perimeter. The Bulldogs only had six steals and couldn’t capitalize on those opportunities. Bad shooting, no free throws, and no easy baskets translate quickly to a blowout. Butler must fix at least one of these three struggles if they have a shot to beat Nebraska on the road. Can Butler press? Maybe just once? In the spirit of easy, fast-break points, it’s in the best interest for the Bulldogs to speed up the game in any way they can. One of the easiest ways to do that? Press. Butler has two long, athletic guards in Aaron Thompson and Kamar Baldwin that play good defense. They would excel at the front of a press. On the back end, Butler plays 10 guys every game. They have the bodies to cycle them in to keep the press fresh and give players rest. A team isn’t good at the press overnight, but considering the personnel on Butler’s team, and the depth that they have on the bench, it doesn’t sound like a bad idea to throw some full-court pressure at a Cornhuskers team that ranks 270th in the country in possessions per game.